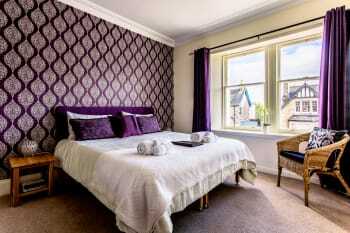 Inverglen Guest House is the perfect B&B when visiting the vibrant city of Inverness. 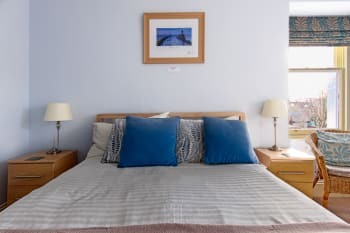 Our award-winning Guest House is a short walk from the fantastic shops, restaurants and pubs of Inverness city centre, but with the bonus of being in a quiet location. 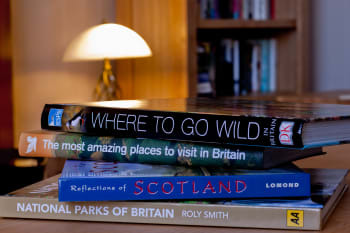 To complete our accolades, we are also rated as a 4-star (Excellent) bed and breakfast by Visit Scotland, and a TripAdvisor Certificate of Excellence winner (for 6 years running, 2013-2018). We also hold a Visit Scotland “Taste our Best” award for excellent food with a clear commitment to showcasing our superb local produce. 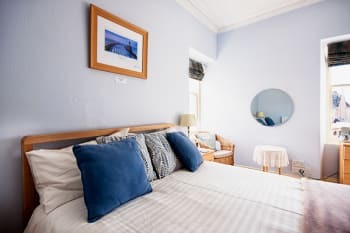 As you would expect from one of the best B&B’s in Inverness we have free off-street parking, luxury bedrooms, acclaimed breakfasts and free high-speed Wi-Fi throughout the premises. 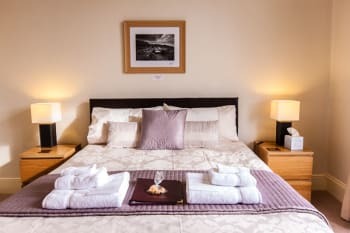 Inverglen Guest House is your perfect bed and breakfast accommodation whether staying in Inverness for business or leisure. There are no rooms available at Inverglen Guest House for these dates. Large spacious bedrooms with 1 Kingsize bed (UK kingsize is 5ft wide). 1 standard double bed which is 4ft 6 inches wide. This room has one superking bed (UK size 6 feet wide). This room is accessed by climbing a stairway of 19 steps. Children: Children aged 6 or over are welcome. Good location, lovely house and facilities. Breakfast was tasty and I appreciated John and Susan for their helpful friendliness and flexibility. Highly recommend. Macgregor’s pub was the best food & drink experience we had in Scotland—try the venison burger or fish and chips! We spent 3 nights at the lovely Inverglen House being well looked after by our warm and friendly hosts, John and Susan. The house is spacious, comfortable, and well-appointed. Our room was big and beautifully decorated and the en-suite was luxurious. The house is in a quiet street and has off-street parking. It’s a 10-15 minute walk into the centre of town, slightly longer back cos it’s uphill, but still pretty easy... We heartily recommend Inverglen House and would be very happy to stay there again. John and Susan will happily recommend places to eat and things to do and have a lot of knowledge about the area. We went on the Jacobite Rebellion cruise down the Caledonian Canal, across Loch Ness, and to Urquhart Castle and thoroughly recommend it, also Culloden, and the Clava Cairns. Inverness is a beautiful city which you should walk around, cross the bridges, watch the river, and take lots of photos of. There are lots of great places to eat, some with live music. We had a great stay at Inverglen. John and Susan were terrific hosts. They provided us with great advice on everything from sights and hikes to restaurant choices. Our room and bathroom were also very nice and we slept really well there. Breakfast was also delicious every morning. We loved the food at both the River House and the Mustard Seed and would highly recommend those. We were blown away by our time here! You both were so nice and accommodating from being flexible with our type of payment to giving us recommendations on where to go, and providing us with delicious food! We really appreciated all that you did for us and really made our time in Inverness comfortable and relaxing. I would recommend doing a Rabbie's tour (either of Isle of Skye or a different one leaving from Inverness)! They were so nice and it provided an easy way to get to see things and a lot of information about what we were seeing you wouldn't get otherwise. For food we really liked Black Isle, Scotch and Rye, and Wild Pancake. John & Susan were very attentive from start to finish. I was made to feel at home instantly. The room was very tidy and comfortable and the breakfast fantastic. Will definitely be back again. McGregor's bar is great for food and drink. Lots to do in the area. Fairy Glen is an easy walk and Chanonry Point offers a nice beach walk. John and Susan are wonderful hosts! Friendly, knowledgeable, and happy to share information about the area. Very friendly, helpful and caring host. Take a photography tour with John ... you will be excited. John and Susan are wonderful hosts. Breakfast was delicious and Susan made us some wonderful treats for our honeymoon. The room was warm and comfortable, and bathroom very modern and easy to use. Location very central to Inverness city centre. Would highly recommend. Recommend little Italy and Fig and Thistle highly as places to eat. Suggest avoiding Prime. This was my first time staying in a B&B and it did not disappoint. In fact, it made me want to stay in more for future travels. John and Sue were extremely friendly and accommodating. When we arrived, John gave us a map of the area and even suggested places for us to dine, shop, etc. The location is quiet as it’s residential but a quick 5 minute walk to restaurants, the bus station, shopping, and sites. Breakfast was amazingly delicious each morning and we often found ourselves wanting to stay in and chat with John and Sue. We dined at the Fig and Thistle more than I’d like to admit..but the food was that good! Service was great and staff were friendly. Anything you choose off the menu is delicious. We did a bike tour of Inverness with Allison of Inverness Bike Tours. Allison was very knowledgeable about the city and pointed out interesting sites along our way. The paths were easy to bike along and there are frequent stops along the way. Whatever your interests may be, you can see them on this tour. We also did a bus tour of the Isle of Skye which is the best bet as you see a lot and don’t have to do all that driving. John and Susan were absolutely WONDERFUL!! Their customer service was top notch. I dreamed about Susan’s cheesey eggs until it was time for breakfast each morning. The location of the B and B couldn’t be more perfect. We walked everywhere! We had an amazing stay and would recommend them to everyone!!! Thank you for a wonderful night's stay. I will be back. Lovely stay here! John greeted us warmly with recommendations for dining (RocPool was superb,) activities & Susan surprised us with home baked shortbread in the room & delicious hot cooked breakfasts. John does local photography & his framed work is a delight to see around the rooms. Ship-shape clean, comfortable and so nice to be in a quiet residential area. Highly recommend. Eat at RocPool, on the water. My crab, watermelon & fresh cherry tomato salad was served chilled in a martini glass & was perfect. Scallops to die for. Next day’s drive to Eileen Donna Castle was noteworthy. Even the visit to the Loch Ness Centre was fun. Enjoyed the Inverness area, & the Inverglen House, very much. We had a wonderful stay at Inverglen Guest House! The room was clean, nicely decorated and the bed was very comfortable. We loved the shower pressure and the toiletries in the bathroom. We really enjoyed the breakfasts and the friendly conversations with the hosts and guests each morning! Susan and John were wonderful hosts and were very helpful with our travel plans each day. We highly recommend Inverglen Guest House and would definitely stay there again! It was just a short walk into Inverness from the Inverglen Guest House. One night we had a great dinner at The Mustard Seed and had a view of the River Ness from our table. We also had a delicious dinner at Little Italy. The pasta special was so good, we ate there twice. Make sure you make reservations ahead of time when eating out in Inverness because they stay very busy! After dinner, we enjoyed walking the path along the River Ness and we had fun listening to live music at Hootenannys. One day, we took a day trip to the beautiful Isle of Skye and another day we drove up and toured DunRobin Castle and saw an amazing Falconry Display. Inverglen Guest House is a very convenient location for great day trips! Isle of Skye tour via Iona Tour Group. Thank you to John and Susan for making us feel right at home. They were perfect hosts, answering all questions, and offering great advice. The location was perfect, 5-10 minute walk into town. The breakfasts were fantastic leaving us to usually skip lunch. Very highly recommended. All aspects of this guest house are 5 star and we would have no hesitation in recommending it to others. John and Susan are friendly, knowledgeable and extremely welcoming. Inverglen is perfectly placed for Inverness centre with a range of good restaurants only 10 minutes away. Inverness itself is the ideal base for touring the highlands with local trains easily accessible. John and Susan were both very friendly and fun to talk with during our stay. They clearly enjoy what they do, and it shows. It was very helpful to sit with John on arrival discussing our plans during our stay, and orienting us to the area. The breakfasts were delicious! The shower in our room was fantastic! Great water pressure and temperature adjustment. This may seem like a small detail, but it was a pleasure to have one that worked as it should on our travels. We enjoyed our time on the Black Isle: a morning visit that included the beautiful drive to the tiny Groam House Museum with a famous Pictish stone, the Clootie Well, and the Black Isle Brewery. The first two were things we certainly couldn't do back home! For animal lovers, the drive into Craigorns National Park to see a working sheepdog demonstration by Leault Working Dogs would be very special. Wonderful, friendly couple. Couldn’t do more for you. Always happy to help. Beautiful location. Overall, a most memorable trip and lovely new friends. Great for walking, as beautiful scenery. Close to the town so perfect for shopping or a wander. Cafes near, and lovely food. A perfect base for the surrounding area. We enjoyed the stay at your house because we really felt at home. The house is nicely decorated and very clean. You were very friendly and helpful and you served a lovely breakfast. We were glad about the secure parking place behind the house. Can't think of a single thing to improve upon. You have thought of it all! Loved the #27, that might have been our best meal of the whole 2-week trip. Didn't love the Fig & Thistle - too crowded inside, food was surprisingly bland on our visit. The Heathmount was good but service a bit spotty. I'd go back though. Wouldn't go back to the F&T. I would definitely recommend The Hebridean Explorer (John MacDonald) for a bespoke tour - he was simply outstanding. Not cheap, but definitely gave us our money's worth and then some. We also had a good experience with GoScotland - they're not on TripAdvisor so it may be harder to find them, but it was another excellent bespoke tour and the guide changed the itinerary mid-day to give us more of what we were interested in doing. John & Susan are a lovely welcoming couple who present a warm & homely guest house. John is perfect 'front of house' with a quick humour, anecdotes & local information. Susan prepares wonderful breakfasts - so many options, so delicious, the Creamy Porridge is to die for! The whole breakfast presentation is a triumph. And not forgetting the homemade shortbreads on the tea tray when you return from your day out. A lovely couple who clearly enjoy their roles. Try the No 27 bar/bistro, the food is superb, far better than you have any right to expect in a pub. The Kitchen Brasserie is worth a try too, located by the river, with great views if you can blag a window table. If you like walking, nature, and good old fashioned fresh air just go for a stroll to the the spit of land off Kessock Road that juts out over-looking the Kessock Bridge - we did and a dolphin came by within 20 feet of us - just magical. Then carry on round to the Merkinch Nature Reserve, along the sea wall, then take in the sea locks at the top end of the Caledonian Canal. A walk along the Canal or the River Ness is a must, and return into town from the southern end via the bridges linking the Ness Islands. Just lovely. Fort Augustus is worth a visit too, taking in views of Loch Ness as you drive there, more so from the west side than the east side, though the east side is worth it for the return trip, quite different views. Thank you so much for your lovely review. We do love what we do, but it is the wonderful guests that make it all worthwhile. We are delighted that you enjoyed your stay and we hope that we helped you get the most from your visit to the Scottish Highlands. Very caring owners, everything's absolutely clean and decorated with a lot of attention to detail, situated close to the centre. We could not have made a better choice and felt very much like at home – really comfortable and well looked after! Best place on our whole trip, and we have seen quite a lot! Anyone who loves "real" (Scottish) beer should try the Black Isle Bar on Church Street! Very good place, apart from "liquid steaks" you also get decent food there! Top notch guest house in a great location with warm and friendly hosts! We couldn't have asked for more! Very warm Welcome. Beautiful large Room with a very good Bed, nice Bathroom. Wonderful Hosts. Every morning fresh Breakfast. Thank you! Wonderful stay, great food and company! It was so nice to crawl into my bed after such a long journey and knowing my next day was going to be even longer! You guys are the best!! Warm, friendly and informative hosts. Lovely comfy room, felt very at ease there. Quiet but very convenient location. Amazing food with so much choice. Can’t recommend enough. Service, double room, food, all excellent. Clean & comfortable. Loved the little extras in bathroom, towels big and soft. We were travelling on public transport so walk is up hill from town but good exercise. Susan and John were wonderful hosts-welcoming and helpful and very concerned that we maximize our stay in Inverness . They helped us plan and organize our time and offered so many helpful tips. Our room was spacious and lovely and we also appreciated access to a common room. Fantastic shower with lots of hot water and Great water pressure which is a rarity in most B&B's!The breakfast was superb with both traditional fare and healthy options. The pistachio chai muffins were to die for. They also had a small fridge available to guests with cold water and milk for tea.so many of these little touches like the homemade short bread cookies in our room amde us feel very pampered. Their home is in a charming neighbourhood within easy walking distance of the downtown area. We have stayed in many B&B's in the UK but this was by far our favourite! We would rate it as 5 star! Most tourists are aware of the proximity of Culloden but John also suggested we visit a site with standing stones that made me feel like I was on the set of outlander . A walk along the path at the River Ness is a must. We had dinner at a small boutique hotel so we could have a view of the river and town and also enjoyed a lovely sunset. April is a lovely month to visit since there were daffodils everywhere and the gorse was in bloom everywhere! Loved this area of Scotland ! What's not to like about Inverglen? Warm welcome, lovely rooms, fantastic varied breakfasts including scrumptious home baked breads & muffins, also shortbread in rooms daily. Hosts very knowledgeable, willing give travel & restaurant advice, both go out of their way to ensure guests have the best stay possible. Home from home in fact maybe better! URQUHARTS, very good, small restaurant, plenty choice & reasonably priced, booking advised. Hosts have extensive local knowledge & will readily give recommendations & book on your behalf, just ask. Susan and John are wonderful hosts, make you feel very welcome. Have an extensive knowledge of the area and are able to recommend places to visit and good restaurants. Susan's home baking is delicious. We had another great stay with you. Go down the south side of Loch Ness. There is lovely scenery on that side too. We were made to feel extremely welcome by John and Susan, who were both fantastic hosts. Nothing was too much trouble for them. The breakfast each morning was wonderful. 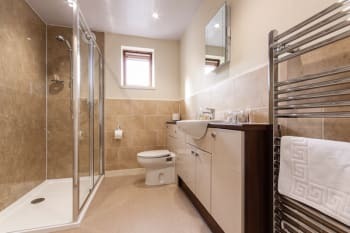 The guest house is perfect for walking into Inverness and exploring the area, with the bedrooms being modern and the shower was fantastic, always hot water and a powerful shower which isn't always the case in some guest houses, but this was perfect. Little touches like a communal fridge with milk for a tea/coffee in your room was also a nice touch. We cannot recommend this guest house highly enough. Lovely home. Very friendly people. Susan and John were very helpful, and made great suggestions of things to see and do in the local area. Very carrefully people. Kind. Room clean and pleasant. I recommend this B and B for all people. Probably the best guest house in Inverness, best one we have ever stayed in, anywhere. All the reviews are correct. John and Susan have every detail just right, could not think of anything they could improve on. John is very knowledgeable about all local restaurants and we could not fault his recommendations. We had good meals every night. Loved meeting you both. I was very comfortable, the food was excellent and your kindness outstanding. My photography outing with John were excellent Barr a little rain. I now have a much better idea of what else I'd like to go, and to photograph. Girvans was great for a light bite, and if their soup and salad are anything to go by, their full menu meals will be delicious. Very friendly, helpful, good knowledge of the area. Enjoyed the homemade bread, shortbread and muffins. Appreciated the cool water in the fridge. You both made us feel very welcome and you catered for our every need. We would like to stay with you again if we visit Inverness. Robert enjoyed the photography afternoon. Fort George, Brodie Castle, Culloden, local heritage walk around Inverness. Local restaurants - the kitchen, No. 27. Inverglen Guest House is a delight! I have very high standards for where I stay while traveling and all of my needs were completely met. The rooms are comfortable. The bathrooms are not huge, but have everything you need. The breakfast is delicious and ample. The best part are the hosts --- completely lovely people with a great sense of humor and easy-going manner. I highly recommend the Inverglen Guest House. John and Susan were incredibly accommodating during our stay, despite our early starts and unplanned late arrival! They were welcoming and friendly throughout our stay. The breakfast was delicious, rooms were great and location was lovely and quiet, with an easy walk into the town centre. The owners are wonderful and have so much great information to share on the area. Delicious breakfast too. Ness Islands walk was great and we loved Velocity too. Helpful, friendly & informative info always available from John & Susan. Breakfast was tasty & kept us going for most of the day! Wonderful hosts! Full of insight and help about the region. Great base to navigate day trips throughout the west/North and highlands. 5 minute walk to city center makes shops an eating a breeze. Friendly, welcoming, with excellent breakfasts. Rooms are well appointed and spotlessly clean. Although in a quiet location, the Inverglen is very handy for the centre of Inverness and most good restaurants. John is very knowledgeable about the local area and about photography. They were very careful about food allergies during our stay. Lovely walking along the River Ness and Urquhart Castle is only about a half hour away. Owners/staff very friendly and exceptionally helpful. The power of the shower was poor and the shower door at times does open freely. However it did not detract from our visit. Friendly owners, beautiful house in a nice neighbourhood close to city centre. The B&B is perfect, the breakfast is great. By the way, Inverness is a lovely town. A really great place to stay. We were made very welcome and greeted with tea and delicious cake. The room was spotless as was the bathroom. The breakfast was delicious and beautifully presented. Welcoming friendly hosts. Very good accommodation. Good breakfast, excellent showers, comfy bed. Consistently good over a five year period. Very welcoming. Try No.27 Restaurant but you will need to book a table. Travelling around Scotland our stay with you was the best of all!! Thank you! John and Susan were so wonderful. They were very helpful and gave clear directions to all the places we wanted to go. They even packed us a breakfast when we had to get up early for an all day tour. They know a lot about the surrounding area and all the attractions and restaurants. We did the WOW Isle of Skye bus tour and it was fantastic. You get to see a lot of different, interesting sites. John & Susan are both amazing, you wont find a warmer welcome in Inverness or even the world! If you need somewhere to stay in Inverness please choose here, Ive stayed in all the hotels in Inverness and wouldn't go anywhere else now! The Inverglen is perfect for people travelling on their own for work or for couples. The rooms are spacious with everything you could possibly need and breakfast is amazing. Wonderful B&B! Great hosts! Excellent location! Clean, convenient, comfortable! Perfect!! We enjoyed every aspect of our stay at Inverglen Guest House! John and Sue are wonderful hosts and very knowledgeable. The accommodation was very clean and comfortable, and the breakfasts were excellent. If we ever make it back to Inverness, we'll certainly stay at Inverglen! For our first stop on our trip to the Highlands it was perfect. John and Susan are excellent hosts. Very caring, interested and knowledgeable. Inverglen is their home and was our home away from home. We loved the Dores Inn, not too far away by car, for the food and atmosphere. Dores is on the shore of Loch Ness. We enjoyed the hospitality and food and especially the Shortbread cookies! We just got back to Texas and are looking forward to seeing you in October. Inverglen Guest House is just as amazing (if not more) as other reviewers have said it is and we enjoyed our stay here immensely. Before our trip even started, I was impressed with how much information is on their website and found it very helpful, especially when looking for information on restaurants in Inverness. John and Susan were very friendly and welcoming and we loved being welcomed with coffee and cake. The cake was especially delicious and even impressed my husband, who is a pastry cook, so you know it was good! John was extremely helpful in providing us with maps and directions so we knew where we were going for dinner and how to walk to our car rental location. The room was beautiful and comfortable and the breakfast was memorable. It was the first we had during our stay in Scotland and certainly the best. 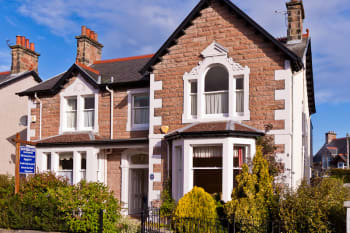 We highly recommend Inverglen Guest House to anyone visiting Inverness- you won't regret it! John and Susan can be relied on for advice on all things local! Lovely B&B and convenient location. Susan and John are amazing and gracious hosts. Loved room 2! Best dinner in Scotland at Cafe One in Inverness. Lovely warm welcome with tea and home made cake. Very comfortable room with everything we needed provided, including fresh milk in the fridge on the landing. Rocpool restaurant for a delicious meal - but you need to book in advance. Yet again a great break in Inverness, staying at our favourite B & B. Susan and John are superb hosts who make you feel at home and go out of their way to ensure guests enjoy their stay. Susan's breakfasts and cakes are so tasty and fresh shortbread in our room is always a welcome treat especially as I get spoilt with a dairy free version and dairy free food available for breakfast. I would recommend the Inverglen to anyone and will be visiting again soon. Number 27 is a quirky restaurant/bar which serves the best food that I have tasted from any restaurants in Inverness. The staff are very helpful and not intrusive and the 2 nights we dined there were superb. Home is kept in great condition. Food is delicious and hosts couldn't be nicer. Make sure you get reservations for meals as soon as possible. Take advantage of nearby distilleries. The highlight of our stay in Inverness was Culloden Battlefield & walking along the River Ness. John & Susan were fantastic hosts! We enjoyed our short stay thoroughly. They ensure everything is as professional as it would be at a hotel but with the added personal hospitality of a BnB. We discovered a restaurant & bar called Scotch & Rye which does fantastic cocktails. Worth checking out if you're into hipster places. We had a wonderful stay over the Easter weekend. John and Susan were so friendly and welcoming, helping us to feel at home. They offered great advice about what to do in and around Inverness, and provided wonderful food at every opportunity (hot cross buns on arrival, shortbread in the room, and of course breakfast). The room itself was beautifully decorated and had every amenity we might need - lots of attention to detail. If you feel like something a bit different for breakfast, try the special - some of Susan's baking - which is delicious. Outside the B&B, there is an excellent vegetarian cafe nearby (Velocity). If you're looking for a distillery tour, Glen Ord is easily accessibly by train from Inverness. You are wonderful hosts. Tips about local places to eat and see were much appreciated. The kilt maker museum, across the bridge is a nice stop : there is a funny video and a museum that tells you about the kilt's history. You can also see the kilts in the making as the ladies are sewing right in front of you. The shop downstairs allows you to see for yourself the craftsmanship and high quality of the products. We had a wonderful time at the musical pub you told us about ( we felt like being in the Lord of the rings). Cheers to the spoon man ! Number27 for something to eat and if you like whisky, then there are a few distilleries to visit just North of Inverness. Accommodation and food first class. We had a truly wonderful stay at the Inverglen B&B. Susan and John were wonderful hosts who took the time to advise us on things to do, places to eat and visit. The cooked breakfast was delightful and the B&B was clean and cosy! We had a very friendly welcome with coffee and homemade shortbread. 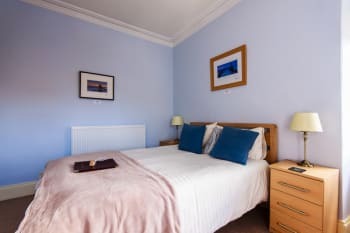 A very comfortable room and the location is in a very quiet neighbourhood, and yet less than a 10 minute walk into the centre of Inverness. The breakfast, cooked by Susan was nothing short of excellent, the dining room and lounge are decorated with many of John's photographs, one of which we have purchased. 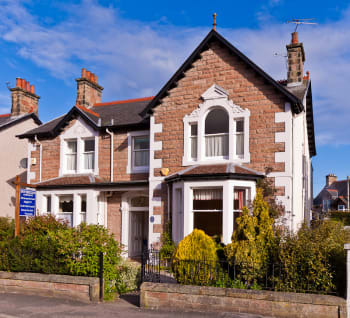 We would have no hesitation in recommending Inverglen to anyone wishing to stay in Inverness, we only live 45 miles away but next time we want to stay over, Inverglen will be our first choice. We were visiting to watch MacFloyd at the Ironworks, prior to that we had a meal at the River House, if you like sea food you must visit this restaurant, you will not get better seafood or service, and we have eaten at many other restaurants in Inverness prior to our visit on this occasion. Everything from the welcoming tea, the recommendations, the cozy room, and the delicious breakfast were perfect. Inverness provided a much needed nature outlet as well as a perfect space to relax and decompress at the guest house. The stay could not have been any better, and I wish we could have stayed even longer. Thanks again for everything! This was by far one of the best B&B experiences I have ever had. The room was lovely and the breakfast was superb but what made the stay extremely memorable and special were the owners - John and Susan. Not only would I recommend Inverglen to others but I will absolutely be returning there myself. My partner and I had a wonderful stay at Inverglen. John and Susan are friendly and excellent hosts! We went to the River House restaurant which was excellent. Wonderful place to stay and relax. Location is central,easy walk to all Inverness has to offer. I look forward to returning. Must see Botanical gardens and Ness River walk. Fig and Thistle has wonderful meals. The whole experience was above my high expectations. I loved the location, the rooms, the environment and the hosts. I couldn't fault anything. We were made to feel very welcome and the gorgeous tea and scones when we arrived were a welcome surprise. We had a meal at The Little Italian which was good. Very friendly restaurant. This B&B is exactly as described. The house and rooms are clean and comfortable. The hosts were welcoming and knowledgeable about the area. They graciously offered to make us dinner reservations and I'm so glad I took them up on the offer or we would have been stuck eating a fast food burger. I also gave them a bag of dirty laundry that was returned cleaned and folded the next day for a very reasonable fee. The B&B is about a 10 min walk to the train station and a 15 or 20 min walk to the heart of the downtown area. The area felt very safe and consisted mostly of residential homes and a few B&B's. The Mustard Seed restaurant was quite good. We also enjoyed an early evening cocktail at the "Glow Bar" located on the third floor of the iconic Hootananny bar. It had a fun vibe. There are lots of historical sites to see in Inverness and the surrounding area. The Inverglen Guest House is a fantastic place to be based for touring the area. Superb in every way. Thank you for a very pleasant stay. Absolutely a great stay with a good mattress and great hosts! Centrally located on a quiet street. Good breakfasts. I would recommend Rocpool Restaurant for dinner. It was one of our best meals on our trip to Scotland. Perfect hosts in a great location. The B+B is spotless and has many little extras that make you feel at home (hot chocolate in the rooms). Both Susan and John are very knowledgable and helpful about things to see and places to eat. Made reservations for us each night and we enjoyed every one of them. John does an excellent photography tour as well for those who are wanting to get that little bit extra out of their pictures. The restaurants that John and Susan recommend are all great. Do need to make reservations as most are small and book up quickly in the summer. Enjoyed the walking along the river. Was able to do a day trip to Isle of Skye with WOW Scotland, it is a very long day but well worth it. Absolutely amazing! Everything about this place - the hosts, the breakfast, location was all perfect. We loved hearing John's tips on where we should go and what to see every morning at breakfast! Lovely stay, very clean room and yummy breakfast. John and Susan were delightful! We loved our stay and will recommend to others. Beautiful and clean house, wonderful accommodations and excellent breakfast! The hosts provide excellent insight into the ins and outs of the city. A fine selection on photography prints for sale gave us something to remember our lovely stay! Our host shared great recommendations on places to visit, one being the Brodie Castle. His suggestion was spot on. The guided tour of the castle was informative and the artifacts and history of the castle were magnificent! We had a wonderful time during our stay at the Inverglen Guest House! Make dinner reservations if traveling in the summer! We didn't think we would need a reservation for a weeknight and we were wrong. Loved the Fig & Thistle, The Kitchen and wanted to eat at the Mustard Seed but couldn't get in. Perfect hosts. Really helpful and knowledgeable about the local and surrounding areas. Beautifully decorated and spotlessly clean accommodation.Good choice of breakfast menu,well cooked and presented by Susan.One would be hard pressed to find better value for money. 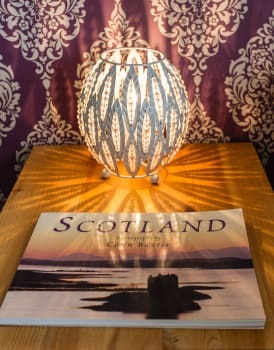 There are many good class restaurants and Pubs within 10 minutes walk of Inverglen.There are plenty of places to visit, too numerous to mention,but they include Castles, beaches, National Trust properties, battle fields and boat trips. Very well run, friendly and straightforward. A lovely welcome, good nights sleep and a great breakfast. We shall stay again. Ask the owners - they are helpful and informative. Appreciated all the help in planning our days Very quiet street. Kitchen Brasserie was really good. John and Susan were the perfect hosts. He helped so much with suggestions on tourists spots and insight into making the most of our stay. She was an outstanding cook!!! The location was an easy walk into the heart of the city and the room was comfy and well equipped with everything we needed. I would love to return someday! Thank you for another perfect stay - attention to detail and a friendly welcome - exemplary! The owners were full of useful tips and recommendations - even if you have an idea of plans, talk them through - I was recommended 2 fantastic places to visit on my way to my destination for the day. Eat at The Mustard Seed (booking recommended) and the Fig & Thistle. Shop at The Storehouse at Foulis (especially if you like craft gins - a great selection). The beach at Hopeman and the Clava Cairns are two places I visited at the hosts recommendation. My stay at Inverglen was amazing! John and Susan are extremely friendly and organised - I received an email from them personally before my stay confirming everything, and when I arrived was offered coffee/tea and scones. John gave me suggestions for the area and helped me put together a whirlwind itinerary as my stay was short. The room was light and extremely well appointed. Even though the house is old (in a charming way), the bedrooms and bathrooms have been updated with all the latest amenities and are extremely comfortable. The little touches everywhere are what make this B&B stand out - homemade shortbread in the rooms, locally made soaps in the bathrooms. The breakfast was fabulous - nothing more to say. Overall I can't think of anything that could be done better - highly recommended! John and Susan are *THE* best! My husband and I stayed at their guest house during part of our honeymoon in Inverness. I'm so glad my husband chose this location! We were a little worried since we had never stayed at a B&B before and didn't know what to expect--and boy were we pleasantly surprised! Susan met us on our arrival and got us situated. Coffee and a piece of cake after getting in off the train? Yes, please! After administrative issues were taken care of, she took us to our room and it was just what we needed. 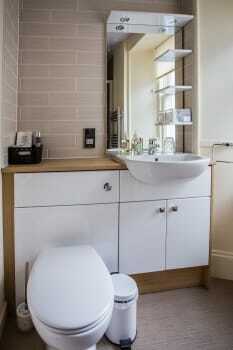 A nice, big, comfy bed and a lovely bathroom. I base my review of the rooms on how the bed and bathroom is and you can usually tell a lot about the hotel you are staying at from these two things. The bathroom didn't have a tub--but, instead, an amazing shower. Water was always hot. Shower head was awesome. Never had a flat hair type of day while there. Very clean rooms. Susan makes shortbread, so that was a treat to see everyday when we came back from exploring. Breakfasts were awesome. Susan will make you a full Scottish breakfast and we did try that one morning. She makes delicious muffins as well. Also a plus was the fact that on our last day we had to check out early and would miss breakfast--but no worries, she gave us to-go bags of sandwiches and juice--just the thing to keep us going after pushing our luggage down to the train station! Thank you so much for our stay in Inverglen Guest House--it was truly memorable and I'm still raving about those muffins and the room! Excellent B&B located a short walk from town. Rooms perfect, very clean, breakfast spot on. The hosts John and Susan made us feel at home, and helped us with information on the local area. Would definately recommend. Inveigled Guesthouse was truly the best place to stay. We drove up and were greeted by David who went out of his way to make us feel welcome and help us plan our stay. The room was clean and recently renovated and very pleasant. The breakfast was excellet Susan is a great cook. We could have done better than Inverglen Guest House. Dinner twice at Thig and Fisel. So much to do in this area we drove a loop around the loch with stops at Urqhart Castle and Fort Agustas. John and Susan really make this place! Spotlessly clean, great location close to town and fantastic hit breakfasts. They also booked restaurants and taxis for us ...just so accommodating! Thank you both. Excellent accommodation in Inverness. Excellent food and very helpful and friendly hosts. We will be back and will recommend you to our family and friends. Train from Inverness to Kyle of Lochalsh- stunning scenery. Aviemore and the Strathspey steam railway worth a visit. Good food - Little Italy and The Mustard Seed restaurants in Inverness. We tried Mustard Seed which was excellent. The Fort George and Brodie Castle tour are a must. 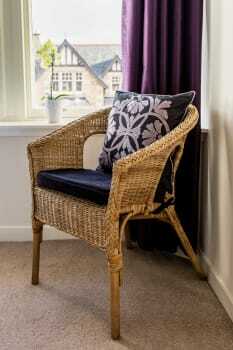 The guest house is set in a quiet street but only a short walk into Inverness. John and Susan were very friendly and very knowledgeable about the local area, things to do. The room was lovely with nice touches like using toiletries that help local people (Ness products). There were ear buds/face pads for my wife to use, and a really great idea- a fridge on the landing which had fresh milk in it rather than plastic pot milk- only come across this once before. The breakfast was filling and delicious and many options to choose from (which you chose the previous evening). Breakfast a little early for us during the week- maybe this could be the same as the weekend times. Otherwise we would highly recommend this guest house. John and Susan are the perfect hosts. Quality, care and attention in every respect. Spacious, elegant well equipped room. Quiet, attractive location ideal for popping into town and seeing the sights. I loved the Velocity bike cafe and workshop - you don't have to be male, youthful or a cyclist to feel welcome in this quirky corner cafe which serves amazing soups, hearty salads and wonderful home made cakes. Hang out here for as long as you can. Otherwise, explore the wide and lively river, Ness islands, the end of the Caledonian Canal and the Eden theatre. Very friendly staff and great accommodation. My partner and I had a lovely 2 night stay at Inverglen. Highlights were the comfy bed, powerful shower and the wonderful hospitality that John and Susan provide. We would not have changed anything about our visit and thoroughly recommend Inverglen as a quiet place to stay near the centre of Inverness. Very friendly helpful owners made you feel very welcome. Tea and home baked cakes on arrival, great start to our stay and that level of service maintained. Comfortable room and good breakfast choice, couldn't ask for anything more. Ask John or Susan for directions and shortcut to shopping centre, also restaurant recommendations. We had a great stay! The food was delicious and the room was very nice. We would certainly return. The photography tour was a great day. We were very happy we booked it because we saw so much of the HIghlands and have so many excellent photos. The Mustard Seed was very good. Ask about the photo tutorial tour! If you are looking for shear luxury a very warm welcome and breakfast at its best this is the place to say. We have stayed in five star hotels that do not have this standard. Would recommend to anyone who is visiting Inverness. I had a lovely time in Inverness. The house is wonderful and the breakfast marvellous. Thanks a lot John and Susan! The Ness Islands and just a nice walk around Inverness to rest a bit. Very welcoming B&B, the hosts cannot do enough for you. 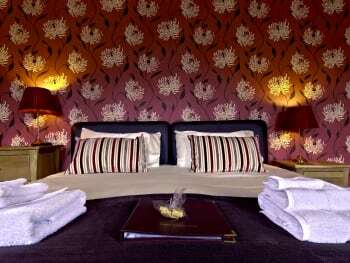 Homely and comfortable rooms with a lovely guest lounge and added bonus of an honesty bar. Great place to stay, I shall return! Very welcoming and accommodating hosts. Bright, comfortable and well-equipped room. Would definitely stay there again. Great service. Rooms are very clean and spacious. Freshly cooked breakfast every morning with a great choice of cereals, fruits etc. Great location for going out at night as only 5mins walk from restraunts / shopping etc. Overall I had a great stay and would definitely go back again. The north coast 500 looks a great adventure. .. will be trying this next time I go. Unfortunately this stay was work related. Very nice hosts with excellent advice on local restaurants, bars and things to do. Went out of their way to make you feel at home. Breakfast was excellent and was met with tea and homemade muffins. Would recommend to anyone to give this lovely home a try. As always a very welcoming couple. Very enjoyable stay. bedrooms are lovely and the breakfast fantastic. Just 5 min walk to the centre of town where you will find an abundance of great local restaurants, recommend The Velocity Cafe for a pit stop, just 2mins from the accom. Wonderful hosts! Gave us all sorts of helpful recommendations for our trip. The city centre was a quick walk down the road and they not only gave us a map, but recommended several places to eat in Inverness. The breakfast in the morning was absolutely delicious! John and Sue were excellent hosts and provide very good breakfast. Great location for a short walk to the city centre. Very good value for money. Susan & John are perfect hosts! They helped us find everything we wanted to see and had wonderful ideas on out of the ordinary local treasures to see. The accommodations were perfect. Location was an easy walk to everything in town. Both Susan and John were lovely hosts. They saw to our every need. The breakfast that Susan cooked were outstanding. Don't hesitate to stay here. Very convenient location and a wonderful home. Innkeepers John and Susan were wonderful. Friendly and helpful - answered any questions we had and offered great advice on restaurants, things to do, etc. The inn itself is clean and well appointed. Wifi access is smooth. Bed was very comfortable. Neighborhood is safe and quiet. Breakfast was incredible, with many fine choices. The key to all of this is the team of John and Susan. They really enjoy what they do and they attend to every detail to make your stay an awesome experience. Rely on John and Susan for restaurant advice. We took an Outlander/Highlands tour with Mr. George Munro - had a wonderful experience with that - had a whisky tasting at Glen Ohr distillery, toured Culloden battlefield and Clava Cairns. Had lunch at the Storehouse - all this with George Munro - a terrific tour. Biked from Inverness to Loch Ness and back, having lunch at the Dores Inn - great experience and we had a nice day, weather-wise for it. Experienced authentic Scottish folk music at the Waterfront bar - great music and fine food. Fantastic, peaceful and well run B and B. Hosts very welcoming and helpful. Really nice to get a cup of tea and some of Susan's delicious home baking on arrival -her lemon drizzle cake was outstanding- yum, yum!. Breakfast was equally fabulous. We would definately return if in Inverness again. We really enjoyed and our dinner in Mustard Seed. This is probably the best guesthouse I have ever stayed in, spotlessly clean, warm and welcoming hosts, lots of extra kind touches, wonderful breakfast, and all we could hear outside the window was birdsong! Wonderful people always ready to make sure our stay was the best possible , great advice on directions for walking or driving to attractions in or around Inverness and the breakfast was first class . The room was clean and very comfortable . Book well in advance very popular . John and Susan were wonderful hosts who welcomed us to their home. We had a great time while at the Inverglen Guest House which is within walking distance to the city centre. Susan is a wonderful cook who prepared some amazing breakfasts while John is an expert on the surrounding area and is a big help in planning activities. Loved Culloden Battlefield and Center, Dunrobin Castle and Falconry demonstration. John had great suggestions for restaurants - we particularly enjoyed the River House and RocPool. Inverglen is wonderful! Very clean and comfortable. John and Susan are so nice and helpful and the food is awesome. Inverglen is very close to the city center - near great food, pubs, shopping, sightseeing, and public transportation. They also have convenient parking if you're driving. We will definitely stay there again! John & Susan were lovely hosts - so helpful & accommodating. The facilities were excellent & the breakfasts were top-notch. Inverglen B & B is centrally located that you can walk easily to shopping & restaurants. The neighbourhood is beautiful. Highly recommend staying here. Cafe 1 had the best food. Loved Clava Cairns visit! friendly owners with very high standards. The perfect hosts! I had a lovely 4-night stay - thank you. The cleanest and most comfortable guest house I have stayed at. My bed in room 5 was so good I want the same mattress! Very easy to walk into the city, where there is a good choice of local restaurants. Inverness is a good base for exploring the east coast and inland. Thank you for looking after us during our stay and giving us great advice on places to visit and things to see. We had a wonderful stay and will be using your B&B as a measuring stick for all the other places we will be staying in. We hope they measure up to your high standards. Susan and John were super. Felt like home. Super helpful thank you. Fantastic hosts with wonderful local knowledge. The falconry display at Dunrobin Castle was excellent. John and Susan made our stay in Inverness wonderful. They were engaging and had wonderful suggestions for what to do in the area. I would highly recommend others to stay at the Inverglen Guest House! Very friendly welcome and comfortable stay. Ask the owners for recomendations for restaurants nearby - you wont be disappointed! We ate at the Mustard Seed on the river front. John and Susan were very knowledgable about surrounding area and tourist sites. Very friendly and made us all feel welcome. Lovely little touches like cake and tea on arrival were very welcome. Lovely home baking, can we have the recipes please! Room a great size for the 3 of us and very clean and modern, again nice touches included in room. The packed lunch was very nice and we had loads! We thought the fridge on the landing with free water and real milk was another nice touch and very much appreciated. Little Italy and mustard seed were both very nice places to eat. Walk from the guest house into the town centre, it isn't far at all! Skye WOW tour great but it is a long day, so be prepared. High standard of service, professional and attentive. 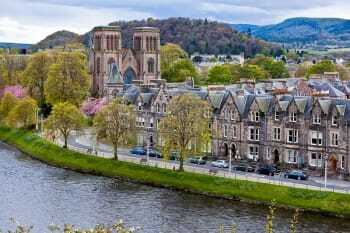 Visit Inverness, is a great city to see. we spent three delightful nights at Inverglen. Great breakfasts, a comfortable king sized bed and friendly and helpful people made it a wonderful stop for us during our recent trip to Scotland. We thoroughly enjoyed our stay, the guest house was really well run with nice, thoughtful and helpful owners who seemed to have thought of everything to make guests feel at home. Just book this place and the owners will be glad to point you in the direction of good places to eat and sights to see. There are many good restaurants in Inverness and a few of the top ones seem to have extremely good lunch and early evening deals. Everything was perfect. The hosts were very informative and helpful. Breakfasts were excellent. The restaurants that Susan recommended were wonderful. We would recommend Heathmont Hotel, Castle Tavern and Urquharts too. We also enjoyed the drive around the loch. Lovely welcome, great hosts and fantastic breakfast! My only issue was that the broadband didn't work properly for me - Apple or PC, which was a problem since I was in Inverness for business. Other than that, the guesthouse and John and Susan deserve all the accolades they get. The hosts were excellent and gave great information on travel. The beds were very comfy and the breakfast was delicious. John and Susan were superb hosts. The rooms are clean and spacious, and the food was nothing short of amazing. We thoroughly enjoyed our stay. The Ness Islands were fun to have a stroll around. Our meal at Girvans was really good too. John and Susan are wonderful hosts. During our three week trip to Scotland, we have stayed in a number of B&B's, Inverglen has been the best. The room was spacious and the bath was well appointed and easy to use. Breakfasts was quite good and the hosts provided lots of good advice on sites to visit and great dining. We had a great 6 night stay at the Inverglen, Susan & John made us feel really at home. 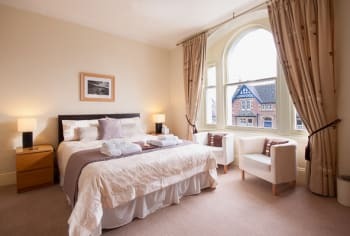 Our room was very clean & comfortable with all the necessary facilities, and importantly, the house was very cosy when returning after one of those inevitable rainy days; there was some nice little touches such as chilled bottled water & fresh milk for the tea & coffee in your room. There was a good choice of hot & cold for breakfast; the hot breakfasts were excellent, cooked individually every morning. We couldn't fault a thing. The Inverglen is situated in a quiet residential area with off-street private parking, and just a short walk into the centre of Inverness; perfect for restaurants, sightseeing etc. Very friendly hosts that made us feel so welcome. It is ideally situated being a five minute walk into town but it's in a lovely quiet residential area. The breakfasts are delicious. The accommodation, service and meals are of a very high quality and standard. John is extremely knowledgeable as a tourist guide, not only concerning the inverness region, but also other Scottish locations. We ate at RivaI talian restaurant on the banks of the river after a stroll round town. Food is amazing, service friendly and the atmosphere was nice and relaxed. Inverness is an ideal location for a base when visiting the north of Scotland. Day trips are many and varied and inverness itself is full of history with numerous places to eat/drink and shop. Fabulous place to stay. A warm welcome from friendly people. 100% professionals, helpful, kind & accommodating. The room, the breakfast, the ensuite facilities and the location are also excellent. Would highly recommend it to anyone staying in Inverness! The Mustard Seed, Walk along the River Ness, Walk through Ness Islands, visit the Floral Hall, go to Inverness Castle to see the city from the top, do a day trip to Loch Ness & Isle of Skye, go to see the Cathedral. Excellant B&B. Thoroughly enjoyed our stay. Accomodation first class, food excellant and contact with the owners brilliant. A pleasure. Very warm welcome from friendly and very helpful hosts who gave us a lot of practical advice about things to see and do in the area. Our en suite room was clean, comfortable and well furnished. There was an excellent choice for breakfast which was cooked to order and very substantial. The house is situated in a very pleasant residential area and within walking distance of town. We recommend the train journey to the Kyle, Culloden battlefield, Brodie and Cawdor castles - and ask John about Chanonry Point. We had a lovely time at Inverglen Guest House. The hosts were most hospitable, and welcomed us with afternoon tea and muffins. The breakfasts were excellent, and any queries which we had were promptly answered. Our room was very comfortable, and we had no problem parking at the rear of the house. The host was kind enough to provide all relevant information. The Inverglen Guest House is perfectly located--a short walk to all the major sights of Inverness. John and Susan are wonderful hosts. They make you feel very welcome and are ready to help plan day trips. The breakfasts are great! Very friendly, happy atmosphere, very clean and tidy, good sized room, decent size shower, would definitely recommend this Guest House to anyone who has high expectations. 10 out of 10. If you like good food I would recommend the Riverside Restaurant, 10 Bank Street, Inverness. One other point only book 4 star. john and susan r very nice and helpful and welcoming,helped us out where to go and c the dolphins ,but did not c them as they never came,and how to get to loch ness. We had a great stay and would do it again. Many thanks for the tea and cake on arrival - it really hit the spot. Thanks, John and Susan. Just returned home today after a 2 week trip to Scotland which included 8 nights at the Inverglen Guest house. It is, without doubt, one of the best we have stayed in. I say this for several reasons - Very quiet location, but also very near to the centre of Inverness. THE best breakfast we have been offered in any of the many B & B's we have stayed in. Great knowledge of the area by both John & Susan who were the perfect hosts. Very clean and tidy bedroom with comfortable beds. The mini fridge on the landing is an excellent idea. All in all, a very enjoyable stay and we will certainly use the Inverglen on our next visit to the north of Scotland. Susan and John were just wonderful host en were extremely welcoming, helpful and friendly. Their house, in a wonderful neighbourhood, is beautiful and the rooms offer everything you need. Appreciated the lovely smell of the clean fluffy towels alot! The guest house is lovely and spotlessly clean. John and Susan are very friendly with nothing being too much trouble and Susans cooking is excellent. John and Susan are very knowledgeable about Inverness and the surrounding area. Their recommendations for local restaurants were excellent and they are more than happy to make the bookings for you. Home from home, wonderful hosts and great breakfast. 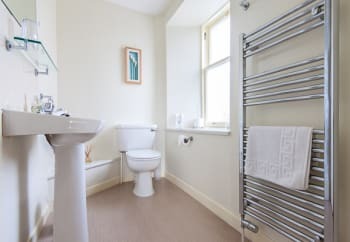 Great guest house with excellent attention to detail with items such as complimentary water bottle, tea/coffee, toiletries and even Highland shortbread. The hosts were helpful and provided a very high quality breakfast and were always willing to assist with ideas and directions. I will certainly look to stay here again on my next trip to Inverness. The Castle Tavern near the Castle provided very good food, great atmosphere and some very nice beer. My daughter and I had a wonderful time with yiou at your lovely guesthouse. You supplied so many thoughtful little extras like the shortbread, the fridge on the landing with water and real milk. The chocolate and banana muffins were the best! We were on a shopping trip from Stornoway so the close locality to the shops was great but also just far enough from the centre for it to be nice and quiet. Tip for travellers. - After visiting Inverness keep travelling to Ullapool and take the ferry over to the Western Isles! Great service from john & susan. Excellent freshly cooked breakfasts every morning. Rooms very clean and spacious. Highly recommend. Excellent stay, comfortable bed, clean and pleasant room, friendly owners, lovely breakfast. Cannot be faulted. Also, Susan's home-made shortbread deserves a special mention: absolutely delicious. The owners know Inverness very well, you can rely on their advice on where to go and what to see. Keith and I would like to thank John and Susan for our warm welcome, our room was perfect and the cooked breakfast really set us up for the day! John and Susan were wonderful hosts and really went above and beyond to help me during my stay. I would highly recommend Inverglen to other travellers and have already told family and friends about my wonderful stay. We were made very welcome by hosts John and Susan and nothing was too much trouble. They even made an early breakfast for my partner who was leaving before 8am to play golf. The room was spotless and the bed and bedding of a high quality, as were the toiletries in the bathroom. A nice touch was home made shortbread in the room and a fridge on the landing with bottles of cold water and fresh milk, and Susan was happy to share the recipe with me. The beautiful house is situated in a quiet residential area with secure private parking on site, but it is only 5-10 minutes walk into the shopping centre and Inverness high street and there is a very nice pub/restaurant within easy walking distance also. A very warm and friendly welcome. It felt like I was at home. The room was fantastic and clean. I am glad I stayed there and I will again if I am back in the area I highly recommend this place to anyone it was worth every penny. Thank You. Superb B&B. Susan and John make you feel right at home. Accommodation is top notch and breakfasts great. Homemade shortbread a lovely after dinner treat. John and Sue are a fantastic couple dedicated to their visitors enjoyment. Both are knowledgeably about the area and John as a photographer is able to help with further afield locations. This is the second time I have visited them and have yet to be disappointed with anything. I will definitely be back for another stay. If you are going to the east coast or Inverness then there is no better place to stay. Susan and John have thought of everything - a the little details. A lovely warm and welcoming environment. I will definitely return again. We were made to feel very welcome with a cup of tea and cake. Staff were always willing to help with any request. The cooking was amazing! Waffles with berries for breakfast, they melted in your mouth! Breakfasts were lavish. The rooms were attractive and very clean. There was guest parking at the rear. We would definitely stay there again! Inverness is an attractive city with many attractions in walking distance. There are plenty of eating and watering places. Walks along the river, especially if the weather is fine, are a must. Great place to stay - in a quiet residential area but only a 5 minute walk to the centre of downtown. John, the host was friendly and very helpful with information, re places to eat, hear live music, driving directions etc. Susan was also friendly and we had an excellent vegetarian breakfast (as requested). Check out Gellions - a bar downtown, within walking distance, for great local music, by the house band, Schiehallion, as well as friendly local patrons. John & Susan are very friendly and helpful, very knowledgable about the local area. Lots of nice little touches - the welcome coffee & cake, flowers in the bedroom, fresh milk & water in a fridge on the landing. 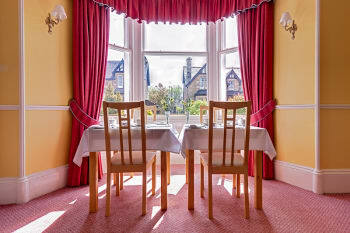 The guest house is very clean & comfortable; the dining room is a lovely bright room to eat the wonderful breakfast. The location is ideal too - 5 min walk into Inverness itself. We did get a taxi from the train station when we first arrived but really hadn't needed to and everything else we did was on foot! If you take a trip on Loch Ness, ring up and book first just to make sure the trip you want is available. We ate at Girvans, the Castle Tavern and Dores Inn on the loch - all the food was excellent & would definitely go back to any of them. Hosts were very friendly and helpful; large family room was outstanding; excellent off-street parking and easy walking to everythung downtown. Hosts helped with dinner recommendations and reservations. Susan will do your laundry at a reasonable cost and this can save a lot of time when travelling. Mustard Seed and Joy of Taste are excellent reataurants. very comfortable and welcoming - appreciated the little touches such as the mini fridge with water and milk and the delicious shortbread cookies. Lots of good information about travelling in the area and a comfortable walk to restaurants and shopping. Thank you! Fantastic accommodation and fantastic hosts. If possible, we'll come back. Too much, but Ben Nevis is a must. This was probably the best B&B we have ever stayed at! John and Susan were fantastic hosts who offered their help and tips wherever they could. They were very attentive to all of our needs, even those we didn't speak out loud. Breakfast was delicious, the rooms were elegantly furnished and spotless. We especially liked the way they helped us plan our days so that we could enjoy our vacation to the fullest. If you visit Inverness, you should definitely stay here! The Mustard Seed, Little Italy and the Dores Inn are very good restaurants. Glen Affric, dolphin watching and Dunrobin Castle are good things to do. Susan and John are warm, friendly and extremely accommodating. The guest house was very clean, spacious and had everything you could need. The owners were very welcoming and accessible to answer questions concerning the area and places of interest. Hootenany's, if a band is playing. John and Susan were the perfect hosts and made us most welcome.Coffee and biscuits when we arrived and John made great effort to get us a restaurant booking for the night we arrived. Great hosts, fab rooms and top breakfasts. Hosts made us very welcome and very helpful with tips and sightseeing. Beautiful photos displayed by John also. Warm welcome, good advice about things to do/places to eat etc, bookings made for us. Happily accommodated dietary requirements. Check out events in the area eg Highland Games. Loved Hootananny's! We appreciated the friendly personal service. It was especially nice to arrive to tea and homemade scones after a long journey. Our room was clean and comfortable. We look forward to our upcoming stay during the next part of our trip. The walk from the Inverglen to city center is very easy and short. We enjoyed crossing the bridge over the River Ness and taking the walk down to the Inverness Botanical Gardens (check with John or Susan for the former name which is on the signage). It is located next to a big sports complex. The gardens have two greenhouses with a variety of plants, gardens, plus a small tea house. We crossed the river and took a beautiful walk back to city center. There are several restaurants along the way. Susan and John were the perfect hosts. Very welcoming from the moment we arrived. They were helpful to us in giving us suggestions on what we could do while visiting Inverness. The breakfasts we chose from their offerings were just as we liked them. Inverglen is a top B&B with very friendly hosts, great food and lovely accommodation! Exceptional in every respect. Every minor detail taken care of and probably many we didn't even notice. Super breakfast, no lunch required. Dietry requirement looked after. Perfect bedroom, spotless and well appointed. WiFi flawless. Good location just a five minute stroll into the city centre. Knowledgeable, helpful and very friendly hosts. If they had a cat for us to pat we’d give them 10/10, but on this occasion 9.99! John and Susan are excellent hosts, very welcoming and full of knowledge of the local sights. There is a communal refrigerator outside the room that is convenient to store wine, sodas, etc. Breakfast is delicious and very filling. Location is short walk to town within quiet neighborhood. Plenty of free parking in back of guest house. We would certainly stay there again. For a gourmet meal, don't miss Joy of Taste restaurant, one of the best we ever dined at. John and Susan have some great recommendations for local restaurants. Loved the Mustard Seed restaurant and the Dores Inn in Loch Ness. Really worth a visit if you enjoy good food. Isle of Skye and Loch Ness a must whilst in Inverness. Very impressed by attention to detail, whether it be the high standard room furnishings and fitments or the excellent quality of breakfast food. Five minutes walk from city centre. Joy of Taste restaurant was excellent. Well worth taking walk up side of River Ness towards Bught Park, past theatre, then meandering down other side, stopping off for a coffee at one of the waterside restaurants. Incredibly helpful and gracious hosts. They gave phenomenal suggestions for sights through Scotland. The breakfasts were amazing. Located within approx 15min walk of the Town Centre close to a good selection of Pubs and Restaurants. Your hosts are friendly and cheerful, nothing too much trouble. A very warm welcome on arrival with a pot of tea or coffee and Sue's homemade cake. The food is of excellent quality and very well prepared and presented, which includes a wide selection of choices and combinations. lovely lovely host. very helpful. great location. very clean and nice place. mustard seed resturant. walk along the ness river and island. Friendly and very helpful to us. Breakfast was delicious. Inverness is not a especially pretty town, ( Hootananny Pub we have liked!) but a good basis to explore a fantastic environments ( Highlands, black Island, Isle of Sky, Whisky Trail-GLENNFIDDICH!, Loch Ness....) with endearing people. Great hospitality. You were both really friendly, which made me feel relaxed. Lovely room and comfy bed. The only improvement would be to have a Wifi signal in the bedrooms for convenience. Culloden Battlefield is brilliant. Just make sure you catch the 2B bus and aren't afraid to ask when the stop is coming up. A warm welcome, with real interest in our journey. De Musterd Seed, good price, good food. We have left a detailed review on TripAdvisor (which is glowing to say the least). There is not one aspect of our experience at Inverglen that could have been improved on. Susan is right at the top of all the chefs and bakers we have encountered in many stays in guesthouses in the UK and Ireland (wow the muffins)! John is unsurpassed in his recommendations of restaurants, tourist routes and attractions - what really sets him apart is that he does not just recommend, he goes the next step and makes all reservations, including lining up a taxi service in another town to pick up the spouses who didn't have a car that day. So many attractions, but two stand out - Benromach Distillery and Culloden Battlefield. Castle Tavern and Cawdor Tavern were two of our favorite eating/drinking places. If you go to Castle Tavern on Friday or Saturday night, the bartender upstairs is an IT trainer who bartends just for fun - and he is a whoot! We received a lovely welcome from Susan & John. The facilities were first class & would satisfy the harshest critic. Susan's breakfasts were a highlight. She is a first rate cook! The information we were given regarding restaurants & sightseeing was much appreciated. We only had 2 days but to do the area justice we would have liked a third day. Very friendly and helpful owners. Excellent rooms. Tasty breakfast. We really enjoyed our stay. It was a pleasurable experience staying at Inverglen guest house. The hosts John and Susan, made us feel at home, looked after us well and gave us helpful tips to plan our day trips and restaurant visits. It seemed like we were staying with friends or relatives. Amenities were excellent and breakfast made exactly to requirement. What more do you want when you are away from home? A warm welcome, easily approachable and attentive to every detail. Knowledgeable about the locality and on specific dietary requirements. Excellent meals in the Heathmount Hotel and Riverside restaurant. Recommend visits to Urquhart Castle and Culloden visitor's centre. A scenic trip on the railway to Kyle of Lochalsh is enjoyable. An excellent guest house. We were welcomed with tea and cake; our cycling gear was washed; the room was lovely, with a comfortable bed and lots of thoughtful extras; a delicious breakfast to start the day. There is a good choice of restaurants in Inverness. The guest house is very close to the centre. Amazing welcome and always there to help!! Thank you so much! Simply our favorite place to stay during our whole trip to Scotland, Northern Ireland and Ireland. John and Susan are the best hosts ever. Great facilities, all the extras anyone would want. The breakfast were world class! We loved our four nights at Inverglen. We enjoyed Inverness. What a quaint and fascinating town. Hoot n Nanny was a lot of fun. Loch Ness and the castle were interesting. We really enjoyed our drive to the Isle of Skye. A beautiful guest house and a lovely warm welcome. The bedroom and bathroom were spotless with lots of little extras. An extensive breakfast menu which was yummy. I spent 4 nights on a Photographic Workshop provided by Inverglen Guest House. The workshop took in some of the most beautiful locations in Scotland with expert support and insight into camera settings, positioning and framing the shot, useful accessories, post-processing options etc. The course is designed to allow flexibility in the programme to take account of weather and local conditions, therefore providing the most advantageous photography opportunities to the course participants. John & Susan are fabulous hosts and prepared to go that 'extra mile' for their guests, so whether you are in the Inverness area on business or pleasure I wouldn't hesitate to recommend Inverglen Guest House as a place to stay. Anyone interested in combining Photography with visits to beautiful and sometimes remote areas of Scotland would benefit from the Photography Workshop offered at selected dates. Excellent value for money. John & Susan couldn't have been friendlier or nicer! We were welcomed with tea and home-made scones on a cold and rainy day. Breakfast was delish. Room was lovely and spotless. And there is a guest den as well. Walk down to town (5 mins) and go to Hootananny's for dinner and Scottish music. It gets crowded early, tho music starts at 9:30. As hosts you went over and above the call of duty . . . This was a brilliant place to stay, relaxed, friendly and much more. The house is well appointed and very clean. The owners are friendly and hospitable without being over powering. Their knowledge of the area is a great help when planning a day out. The breakfast was excellent and would meet any taste or special requirement. Great value for money and would highly recommend. In everything they do, they seem to get the balance right. Take a drive round Loch Ness, real Scottish scenery, just beautiful. In the evening just head for the centre there is food and drink to meet all tastes. John and Susan superb hosts,rooms excellent and spotlessly clean.Nice extras on arrival tablet shortbread and bottled water in fridge lovely at night after night out. Only 5 mins from shopping centre. Would stay again if in Inverness. Ask John and Sue about restaurants, places to go they will give you all the information and directions you need. So helpful. Great place to stay, the food was excellent, the rooms were a great size, very clean. Had a wonderful stay, will stay there again when I get to come back. Our stay at Inverglen Guest House couldn't have been better! They had fantastic facilities - I loved the shower, the bed was extremely comfortable, the room was a really good size and the fridge in the hall for fresh milk and bottled water was a nice extra touch. It was exceptionally clean, John and Susan were excellent hosts and Susan cooked up a storm in the kitchen! I sampled a few different breakfasts and they were all delicious. Thank you so much for everything. I was made to feel really welcome during my stay and nothing was too much trouble. John and Susan are very good hosts with an excellent knowledge of the surrounding area and what is on. I was very well looked after and had a comfortable room. TV in my room was not very clear and that would be my only negative comment. Good position for riding the trains of Northern Scotland or other touring exploits. Inverness is an attractive city, and the weather is better than other parts of Scotland. We stayed with Susan and John for six nights while attending John's Inverglen Photography course. We couldn't have asked for a better experience. From the moment we arrived we felt we were welcomed as friends. The house has character and our room was very comfortable with a clean modern washroom. There were dueling highlights during our stay: Susan's wonderful meals; and John's landscape photography experience. John ensured we experienced a vast array of landscapes, mountains, lochs, waterfalls and vast highland landscapes and seascapes with thoughtful coaching. He even went in pursuit of the "Highland Coo" so that we would have a lasting memory. Susan ensured we enjoyed delicious food throughout our stay, making a very special effort to accommodate my food allergies. She even created a gluten and diary-free shortbread recipe just for me!! An excellent stay. The staff were very friendly and we were excellently looked after.Nothing was too much trouble. We stayed here for 6 nights from 4th October 2013 for our honeymoon. Firstly we were welcomed at the door and taken into the guests living room where we were given a lovely fresh coffee and delicious home made cake. We were given a detailed map of Inverness centre and John and Susan spent quite a while answering our questions about the local area including recommending days out and restaurants and pubs to visit. I had planned this honeymoon trip for quite sometime and had requested certain things to be done. When we entered our room we were greeted by a bunch of beautiful Scottish flowers locally made chocolates and a congratulations card for getting married. What a great start to our honeymoon! The breakfast choice was extensive everyday with a choice of cereals, fruit salads, yoghurts followed by a choice of 4 breakfasts and the hosts special breakfast which changed daily and are well worth checking out. At breakfast the hosts were so helpful in plotting our days out and offering recommendations of where to eat. You really are spoiled for choice of eateries in Inverness. We cannot wait to go back to Inverglen and Inverness! Ask the hosts for advice is all you need to do! John and Susan were very friendly and hospitable and made me feel very welcome on my short stay. Another few days in Inverglen would have been even better !! Susan and John could not have been more helpful and kind. They went out of their way to welcome us and our stay at Inverglen was a wonderful way to end a memorable holiday. The house is beautiful and in a great location for the town, yet is very peaceful. The rooms are spacious, comfortable and spotless and the breakfast was outstanding. We're so glad we stayed here. Mustard Seed restaurant is very good. Susan and John treat you on arrival although they have known you for years. The welcome is fantastic. Susan offered us tea/coffee on arrival. The breakfast is brilliant and there is more than enough to choose from. The rooms are spotless and there are several of Johns own photographs dotted around. No hesitation to recommend Inverglen to anyone. Loved it! Fantastic accomodation. Lovely hosts, lovely food and spotlessly clean. I would highly recommend. Perfect place to stay and homecooked specialties at breakfast! John and Susan are terrific hosts. Knowledgeable about the area and anxious to make your stay a memorable one. Battlefield at Cullodan. City walking tour with Cameron. Local pubs. Two great restaurants...River House and The Mustard Seed. Inverness is a great jumping off place to see northern areas sights. Wonderful stay at Inverglen and Inverness. Thanks. I have stayed at the Iverglen 3 times in the past 3 years. I have loved every moment I have spent there. The rooms are beautiful and the breakfasts are just delicious! Susan and John are the loveliest people and the best hosts! Friendly, clean, comfortable b&b with central location and off road parking...everything we needed. Ate out at "Joy of Taste" and "Fairways". Food good in both places. John and Susan were excellent hosts. They have fantastic knowledge of the area and were able to help us get the most out of our time in Inverness. The bedrooms are very comfortable, breakfast is fantastic, with good selection, and the sitting room was great for our group. We really enjoyed our stay! If they send you a list of restaurants and suggest you make a reservation early, believe them. Excellent all round, from the room, breakfast,general hospitality, to advice on restaurants & places to visit. We went on the Loch Ness cruise with Jacobite tours, if you have time would recommend the passion tour as this give 2 hours at the castle as well as a 1.5hr cruise on the loch, other tours can appear to be rushed. We ate at The Kitchen and the Riverside Restaurant both excellent. We were very kindly received and supplied with tips for pubs and events. There was no problem that we came back late at night after a concert. The rooms are very nicely furnished and decorated, the bathrooms with windows, light and bright. Susan and John are great hosts! We would not hesitate to stay here again. John provides its guests with many tips to stay in Inverness. Best b&b we ever stayed in. A very warm welcome. Delicious cakes. Lovely warm welcome by John & Susan. Great food and accomodation. Well situated for the city. Visit to Loch Ness is a must. The joy of taste is a brilliant restaurant. We very much enjoyed our stay. First class accommodation. Recommend Carole's Craft shop Academy Street. Our stay at the Inverglen Guesthouse was one of the highlights of our Scotland holiday. John and Susan were very welcoming and the quality of the accommodation and the breakfast was very high. I left my coat behind and John made every effort to contact me so that I was able to retrieve it. John sent us an email prior to our arival so that we could book a restaurant ahead of time. Many of the good restaurants in Inverness get booked out. We thoroughly enjoyed our stay here. Your hospitality (including the great breakfasts) was wonderful. We really appreciated John staying up to welcome us, despite our late arrival. The recommendation to hike Glen Affric was fantastic and something we would not have found on our own. Also sending out the list of local restaurants so we could make reservations was key at such a busy time of year. Visit Urquhart Castle. Hike Glen Affric, and dine at the Riverside Restaurant. I have written a review for Trip Advisor in which I have commented on the seamless partnership you exhibit. Also commented on comfort, additional products in rooms, really comfortable bed and great hosts. I mentioned the incline which could be a problem for some guests but suggested that Inverglen is well worth a taxi from the station. As you say in your publicity - book if you want a particular restaurant! The ferry on Loch Ness is worthwhile. We enjoyed the walks around Inverness. The bus trip to Cromarty (and lunch at The Café) is a pleasant trip. Perfect! Location a bit far from river but is ok.
Rocpool restaurant excellent food and service. Velocity lovely fresh scones with your coffee. We thoroughly enjoyed our stay, our only regret is that it wasn't longer. We really hope we can return! We had dinner & drinks at the Castle Tavern, we really enjoyed that also. We liked the Scottish atmosphere. We really enjoyed the castle at Golspie & especially the trained bird show. Dornoch & Lairg were two towns we really enjoyed & would liked to have lingered longer. Thank you for arranging my taxi to the airport. We loved our stay here - - Susan & John wrok very hard to take good care of their guests - - the rooms are immaculate - the beds are quite comfortable, the bathroom has great showers. Everything you need is provided, and Susan cooks up an awesome breakfast!! The locations was close enough to downtown to walk into town for dinner. We had a great time having pub-food and listening to Scottish folk music at a place called Hootanany that John recommended. We had a lovely stay. Thanks so much for making our dinner reservations. Your establishment was just perfect for our needs. It was great being able to park our car and easily walk to town. Thank you for all of your help and information prior to our visit as well. If we come back to Inverness, we will certainly look you up! Thanks for everything! The Joy of Taste restaurant was lovely. Such a pleasant experience. We are so glad we went to Inverglen, rather than a hotel. Short walk to city centre, with parking on site, makes it ideal. The hospitality shown by John and Susan is the icing on the cake. No wonder they achieve top rankings regularly. We tried several restaurants, but were perhaps especially taken by 'The Joy of Taste', which is staffed by volunteers, who share in any profits. The food is very good, both daytime and evening (need to book for early evening deals). You are both the perfect hosts and seem to actually care about your guests which is what is lacking in many guest houses. We cannot fault anything and will say this when we post our Trip Advisor report when we return home. We ate in The Rooms which is a pub/ restaurant, but the food and service is first class, better than you would find in many restaurants. Culloden battlefield, Dingwall and the Highland museum of childhood were all well worth a visit. John and Susan were perfect hosts. The food was delicious and very well managed. Susan is an excellent cook and John is very knowledgeable of the area. John specially gave us excellent advice on where to hike in Glenaffric. It was perfect and gave us the best directions and the overall experience was everything he said it would be, Susan and John both gave us excellent advice on the Dunrobin Castle, Gollsbie, and Dornoch area. Inverness is the heart of the highlands, give more than one day to visit this area. Historical battles like Culloden and Bannockburn are a must see as well as Loch Ness, Glenaffric, and Dunrobin Castle. This was our second visit to Inverness and we want to go again. A very warm welcome from the moment of our arrival - thank you for a happy stay and for your care, facilities and advice. John and Susan are wonderful, knowledgable hosts. They are kind, and the breakfasts are wonderful and set you for the day. The location is perfect; the atmosphere is welcoming; and you will love it at Inverglen. Take the walk to the islands - perfection. Everything was fine. It was a very pleasant stay. Susan and John are so friendly. We would like to visit Inverglen Guest House again. Very friendly and helpful. Excellent accommodations and food. Susan's homemade sweets were delicious! The location is easy walking distance to downtown, just be sure to get directions. Our American phones had no service but the free WiFi allowed us to map our daily route before heading out for the day. Thank you, Susan and John, for your friendliness and for sharing your knowledge of the local area to help us make the most of our stay. Very much enjoyed John's wonderful photography. Fantastic B&B.Have stayed in quite a few over recent years on golfing trips across the U.K and we both agreed this was the best. Superb, friendly hosts who found nothing too much trouble. Very welcoming and when next in Inverness wouldn't look for anywhere else to stay. Thanks for everything. The Castle Tavern for great food. Same as The Waterfront which is lively with good music. If playing golf Castle Stuart is awesome and for a little gem visit Brora. A warm and professional welcome. Super comfortable beds ! Thank you John & Susan for your wonderful Guest House. We appreciated your amazing hospitality, great travel advice, and all the little extras that make it special. Susan's shortbread was delicious, and it was lovely to curl up in the guest lounge and watch one of your DVD's after a hard day of sightseeing. Location was perfect with an easy walk to the town centre armed with a map and good advice from John. Breakfasts were lovely - Susan's orange French toast is delicious! 2 nights was definitely not long enough. Well done! Enjoyed meals at "Little Italy" and "Taste of Joy". Comfiest bed I have ever stayed in, beautiful room and amazing power shower. John and Susan are so friendly and helpful, and breakfast was delicious. Can't fault it! Inverglen met my highest expectations, a beautiful house, immaculately clean, warm and comfortable, with a terrific shower, delicious breakfast and extremely friendly and helpful hosts, very convenient for the town centre and the rail link. Stroll down by the River Ness and see where I got married in the Ness Bank Church. This is the second time we stayed at Inverglen in the past 12 months and now would always make it first choice. Very good service once again. Thanks. Easy walking distance to the city centre. excellent service, lovely place to stay! Very welcoming, fantastic hospitality, good recommendations which we followed and were not disappointed. Lovely breakfasts, regret not trying the tea bread now! Try at least one of the "good" restaurants in Inverness - all easy to get to. Otherwise just follow John and Susan's advice on things to do! We thoroughly enjoyed our stay at Inverglen Guest House. We arrived early and were welcomed with tea and coffee and home-made cake. John and Susan were gracious hosts and made thoughtful suggestions in response to our questions. They were helpful in many ways, including holding our luggage through the afternoon after we checked out. We would gladly stay at Inverglen Guest House again. A walk along the canal is a nice complement to the walk along the River Ness. Best breakfast of our entire visit to Scotland. John and Susan were very friendly and helpful. Friendly staff. Rooms are big and bed is very comfortable. Neighborhood quiet. On a nice day the outdoor space at the Castle Tavern is lovely as is the food. The bread pudding is a must. Loved our stay. Friendly and accommodating hosts. Very clean rooms, lovely home baking, great breakfast with options. Even though I arrived late at night, John and Susan were both there to greet me. They were extremely friendly and kind. Leaky's bookshop is a great place to browse. What a fabulous couple - full of information, extremely helpful and welcoming, and breakfast was amazing. The room was spacious and comfortable. The only reason I have marked facilities as good and not excellent is that the shower was incredible (the best on a two week trip) but the cubicle was on the small side but perfectly functional. Friendly guest house in good location. Excellent rooms. Warm welcome, great hospitality,comfortable room, helpful information about where to eat, route into town, route to return our car. Wish we could have stayed longer to explore Inverness and the surrounding country. John and Susan made us feel so welcomed from the minute they greeted us at the front door. We walked with our luggage from the train depot, so it was great to immediately relax in the living area and enjoy tea and homemade cake while we chatted and got to know one another. John gave us several good suggestions for our visit to the Culloden Battlefield as well as tips for dinner spots afterwards. We looked forward to breakfast every morning (delicious! )and the chance to converse with our hosts and other guests trading ideas, photography tips, and travel stories. We loved the light, bright decor and atmosphere, large room overlooking the front entrance (room 2), and the spotless ensuite bath complete with toiletries. Definitely would recommend to others, as we had a PERFECT 2 night stay at Inverglen. Thank you John and Susan! From Inverglen,we hired a taxi to take us to Clava Cairn and then drop us off at the Culloden Battlefield. That worked perfectly, as the walk between the battlefield and Clava Cairn would have been too long to enjoy doing both in an afternoon. We took the bus(it stops at the battlefield)back to Inverness followed by dinner at the Castle Pub and upstairs restaurant. Also Erquardt (spelling?) was recommended as a nice place frequented by locals, and we definitely would recommend after having a lovely dinner there the next evening. Last but not least, WOW TOURS(recommended by John and Susan) provided us with a fabulous guided tour for several days in the Highlands and Isle of Skye. Gordon Pearson, owner and guide gave us a REAL look at Scottish history, the people, all the top spots plus many unknown treasures often missed by tourists. Do yourself a favor, and look into hiring him for a day or more. Wonderful Bed and breakfast. Excellent service. John and Susan are great and so helpful, always willing to make the stay even better. Tasty breakfast! Susan and John are the perfect B&B hosts combining professionalism, warmth and generosity in abundance. The bed and the breakfast were first rate, and many other features added up to a fabulous stay, small fridge for guests, fresh flowers, over the top shower.....This is a wonderful place to stay. We had a great meal at the corner, easy walking distance. Inverness seems to have many good options. Thanks for drying all of our soggy clothes after our 6 days walk along the Great Glen Way from Ft. William. Make sure you see the Loch Ness monster on the island in River Ness. Great hosts. Susan-Great Cook/Baker. John - great source of information. Totally relaxing holiday, made us feel welcome and at home, with great attention to detail and our comfort. Very friendly, helpful and kind. Exceptional hospitality and kindness. You are truly looked after. 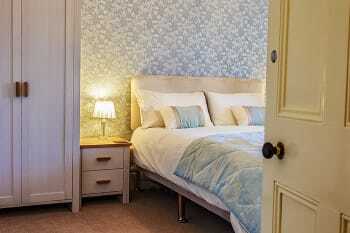 Great attention to detail, soft towels and bedding, quality breakfast, lovely rooms, spotless. Very friendly and helpful. You made our stay feel welcome and comfortable. Very comfortable and welcoming b&b.homemade cakes very good.really friendly owners. Little Italy is nearby and very good. Susan and John are great hosts. It was a real pleasure to stay with them. 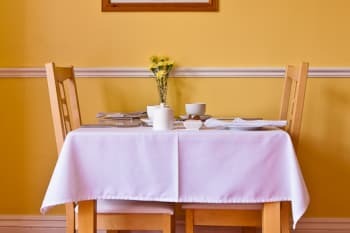 This was the first time our two older sons had stayed at a B&B, and Susan and John have set the standard that all other B&B's will have to meet. We had a marvellous dinner at the Culloden House, an old country house steeped in history, located in the southeast neighborhoods of Inverness. Fine dining and service at its finest. Perhaps a little pricey but worth it. The house was warm and welcoming, the hosts were incredibly nice. The rooms were big and nicely decorated, the beds were really comfortable. We had breakfast twice and both times the food was delicious, with four to five different choices on the menu. Highly recommended. Visit to the Mustard Seed is a must for great food. Drive across to the West Coast. Scenery is beautiful what ever the weather. Perfect place and people. The only problem is that our stay was too short but we hope we'll come back one day. We'll recommend Inverglen Guest House. One of the best breakfasts I have ever had in a hotel or B&B. Susan and John could not have been more helpful. Lovely stay! Food was delicious, the environment hospitable and everything was comfortable. Just what one would want from a B&B! Take along a few ideas to check with John and Susan. The two will sort you out nicely! The perfect guest house and the perfect hosts. Keep up the great work! As I did not stay as usual b&b customer will just say I enjoyed stay and food and facilities were very good. Also I found my 'missing' camera mount part in a pocket I'd already searched at least twice previously! Everything was wonderful!!!! I couldn't say a bad word about it! I wish we could of stayed longer. I enjoyed the photography of our host too! They went out of their way to help us with our plans for the day or when I blew up my hair dyer. Thanks for a wonderful time! Stay with the, as long as your trip always you too! Extremely friendly, very hospitable. Location absolutely quiet, nevertheless just 5 min. footwalk from downtown. Excellent breakfast and "welcome-pie". Susan and John are very helpful in giving tips for travellers and finding restaurants (they even have all the menu-cards of about 30 restaurants available). Totally personal thing, we both prefer natural fibres for our bedding. Your cooked breakfast was probably one of the best we have had in years. We also like the fridge on the landing for milk etc. Lovely house and great hosts.No problem with parking, very good. Very friendly welcome. My stay at Inverglen Guest House was 1st rate. I was on a 4 day photography workshop, ran by John, who was a friendly and informative teacher. His knowledge of the area was very good, and his photographic knowledge superb. Susan mostly looks after the guest house which was excellent. My room was large and very modern and spotlessly clean, with plenty of space for clothes. The en-suite bathroom was again very clean, and the shower one of the best I have ever used. Breakfast and evening meals were served in the dining room. Service was 1st class, and the food even better. 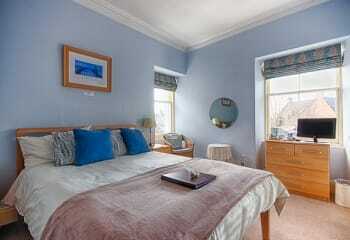 I would highly recommend the Inverglen Guest House as a perfect place to stay in Inverness. I will definitely be returning soon. All of my time was spend with John on the workshop, so I did not visit any other restaurants or the town on this trip, however, the town centre is only a 5 minute walk away. Inverness is perfectly situated to visit the West coast, the East Coast, the Moray Firth, the Cairngorms and further north to name but a few options. You will have plently of choice. Another warm welcome and lovely stay. I would definitely stay again and recommend to others. Very handy for the train station! Excellent hosts with a can do attitude. There is a good choice of places to eat and things to do. Hiring a bike is a good way to get round as there are plenty of cycle routes. I have left a more detailed review on Tripadvisor. A really warm welcome, clean and comfortable bedroom and a great breakfast!